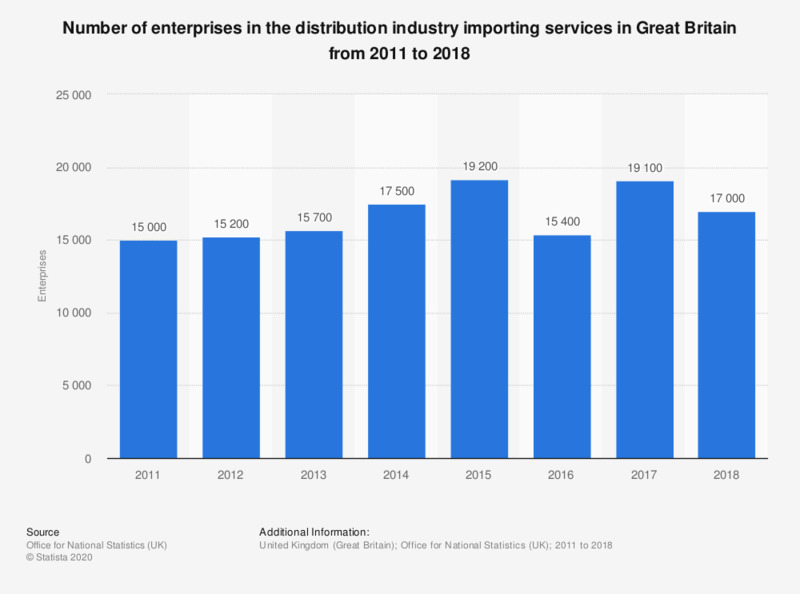 This statistic shows the number of enterprises in the distribution industry importing services in Great Britain from 2011 to 2017. The number of enterprises increased over this period. The increase in 2015 stood out with a growth of approximately 19.2 thousand enterprises.